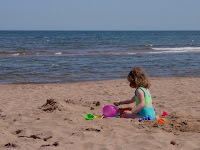 Enjoy your summer vacation on the north shore of PEI, Canada! (Or browse our Activities QuickLINKS for an instant glimpse of some of the many possibilities that will make your visit to the Island a memorable one). 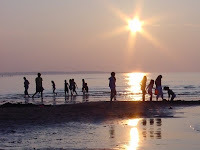 Prince Edward Island comes alive during the summer months. Shaking off the cold blanket of winter, the Island collectively greets the arrival of Spring with a newfound sense of life and purpose that builds to a crescendo during summer, when the Island is its most vibrant. Nature and culture are celebrated, with music, dance, theatre, arts, crafts, and fine dining competing for your attention with an endless array of outdoor activities on land and sea. Summer on PEI is carefree, and the Cavendish north shore area has long been the hub of summertime excitement, engrossing Islanders and visitors alike in an annual ritual of revitalization. It all begins with an appreciation of the spectacular natural setting. 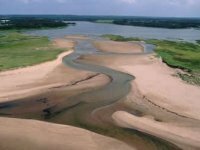 The shifting sands of the living dune environment extend for miles along the PEI north shore, providing shelter for endangered bird species (more here), a pristine environment for the study of unique geological formations, and miles upon miles of beaches for you to enjoy (find locations). Heritage roads cut through swaths of forest by the Island's early settlers provide glimpses through treed canopies of the rolling farmland and river vistas beyond. But there are infinite ways to experience the Island. Whether it be hiking or cycling numerous community trails or the Confederation Trail that traverses the Island from tip to tip, enjoying the spectacular views while teeing up on one of its teeing up on one of the nearby premier golf courses, trying your luck at deep sea fishing in the Gulf of St. Lawrence, enjoying a sumptuous lobster supper -- that quintissential pei summertime feast -- experiencing uplifting jazz or classical music resonating throughout one of the Island's most distinctive churches, or the down-home Maritime sounds of a ceilidh shaking the rafters of a local Stanley Bridge community hall, there is plenty to captivate a spirit set free a thousand miles from home. There are a million things to do on this "million acre farm," so we know that you will not be left wanting. And before you leave, you will surely have found some insight into the "Island way of life." 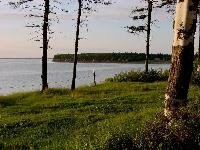 Below we have provided an overview of some of the possibilities for a vacation on the north shore of PEI, focusing on the many activities within a 15 minute drive of Seascape Chalet that complement a romantic retreat, family vacation, or golf escape. But the possibilities are endless, so visit the Tourism PEI website for more comprehensive information on anything you will need in planning your vacation. There you will find information on things to do, events, and specialized itineraries. 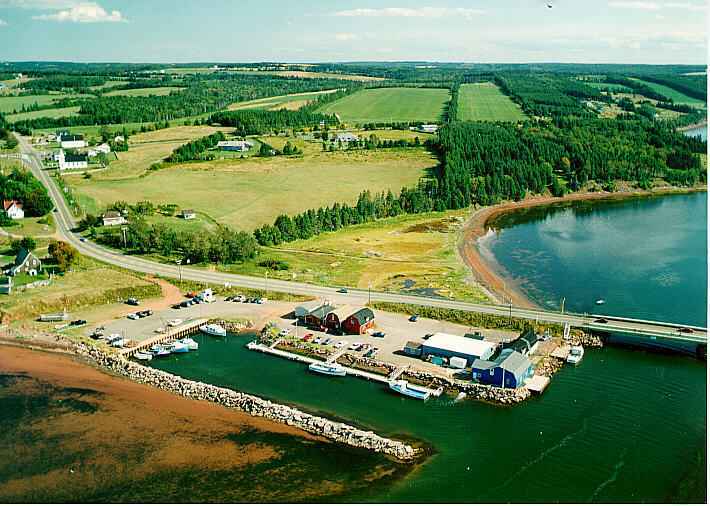 Visit the Green Gable's Shore (formerly Anne's Land) pages for information on the section of the PEI north shore directly surrounding Seascape Chalet. In the meantime, below is a non-exhaustive list of some of the possibilities for recreation and fun in the Cavendish region of the north shore. Enjoy! -- jetskiing - tour New London Bay on a Seadoo! A small community park with playset, picnic tables and short, easy trail along the scenic Trout River -- ideal for parents of young children. Another initiative of the Trout River Environmental Committee (TREC) to promote and preserve healthy watershed ecosystems. Devil's Punchbowl is a former provincial park with trails exploring the great diversity of plants and trees in the area. 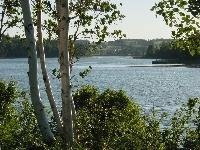 -- The Confederation Trail is the former railway that now a purpose-built hiking and cycling trail. This is one of the best opportunities to experience some of the Island's inland natural habitat from one tip to the other! -- Some of the Island's oldest roads are only minutes away! One of the best ways to explore PEI's "back country" is to throw the map away and just explore. It is virtually impossible to get lost, and before long, you will end up "somewhere." Allow plenty of time for stopping to photograph the scenery, or perhaps for trying to capture on film that red fox that just poked its head out of the trees alongside the road! Horse lovers might also want to experience Islanders' love of harness racing. The season reaches its climax in Charlottetown with the prestigious Gold Cup and Saucer Race during Old Home Week in mid August, and earlier visitors can see harness racing during the mid-July Summerside Lobster Carnival, but a true understanding of the love of harness racing on PEI is perhaps best gained at the small tracks scattered around the Island (Read one person's account). -- Visit a standard-bred horse farm (more PEI Experiences). -- Some of the Island's oldest roads are only minutes away! Start from the scenic Trout River Rd. in Stanley Bridge. Princeton/Wharburton Road in Fredericton (about 10 min.). > The Junction Road in Hartsville (15 min.) and Millman Road in Irishtown (15 min.) are also nearby. 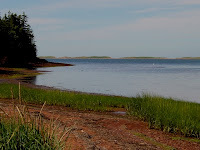 > For a longer excursion, the central location of the Cavendish region allows one to venture either “up west” to experience the Acadian culture of the Evangeline region and native Mi'kmaq culture on Lennox island, or “down east” via the Points East coastal drive to some of the oldest small towns on PEI. Either tip of the island can be reached within a 90 minutes to 2 hours, making either of these scenic drives easily accommodated into your itinerary as a day trip. Want to celebrate an anniversary or other extra-special occasion? 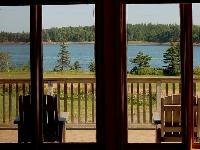 Thanks to the PEI Culinary Institute, the Island is quickly gaining a reputation for fine dining that combines fresh local produce and seafood with culinary artistry to create inspired dishes that make for an unforgettable dining experience when enjoyed against the backdrop of an evocative Island vista. Interested in how it all began? Learn how a small group of junior farmers created the most famous seafood meal on PEI. See the history section at the bottom of this page. Cook your own seafood dinner:.